Owning a vehicle is a major responsibility. Between saving money to put down on a new car, making on-time monthly payments, and keeping up with regularly scheduled maintenance – car ownership is more of an undertaking than many people might realize. To add to the stress and overall concerns that accompany car ownership are conflicting points of advice, regarding regular vehicle maintenance – in particular, when to get an oil change. Albany, NY residents, for example, may have entirely different views on when to change their vehicles’ oil when compared to someone from another part of the country. Turning to Google for clarification on this topic can leave you even more confused than when you started. When it comes to keeping your car in tip top shape and up-to-date on important maintenance issues – what schedule should you follow? Every year, new vehicles are introduced to the market. With updated engines, newly designed drivetrains, and enhanced in-vehicle technology, it is no surprise that regularly scheduled maintenance has evolved right along with the emerging technology. Older vehicles were manufactured in a way that required very precise oil change schedules, while newer cars do not require such a strict set of maintenance guidelines. It may seem silly to quibble over a $30 maintenance need for your car, when the consequences of not keeping up with regular oil changes could be catastrophic to the overall health of your vehicle. For this reason, many people stick to the most widely accepted oil change advice of every 3,000 miles. On the opposite end of the spectrum, some car owners allow their vehicles to exceed nearly 10,000 miles before taking it in for an oil change. With two vastly different approaches to the most common car care need, which one should you follow? Figuring out which oil change schedule is the right one for your particular car isn’t hard to do. While your mechanic may suggest you come back at exactly 3,000 miles, it is important to remember that his advice comes heavily biased. Your local quick lube shop may have great intentions for getting you back into the shop after adding 3,000 miles to your car’s odometer, but that advice may have more to do with their own bottom line, and not the best interest of your vehicle. Most modern day cars, trucks, and SUVs do not need to undergo an oil change at 3,000-mile intervals, but many drivers aren’t comfortable going against the advice of their trusted mechanic. If you find yourself unsure of when your vehicle’s oil should be changed, take a look inside of the owner’s manual that came with your new or used car. The best way to determine how often you should get your vehicle’s oil changed, is by referencing the manufacturer’s suggestion in the manual. Every automotive manufacturer, whether Chevrolet, Honda, or Mercedes-Benz, outlines regular maintenance requirements for each of their nameplates in their respective manuals. The best way to ensure proper vehicle health, is to reference this recommendation for oil change intervals, and other critical scheduled maintenance needs. The best way to ensure optimal health for your vehicle, isn’t to bring it into a quick lube every 3,000 miles for an oil change. For most makes and models, this practice will only serve to drain your bank account, and not actually increase the longevity of the life of your car. Changing a vehicle’s oil too frequently can also have negative impacts on the environment. Every time your car’s oil is changed, the older oil is discarded and poses a threat to the environment. To help keep your car, wallet, and Earth in the best possible condition, take the following steps into consideration before you get your next oil change. Oil Life Monitors: Most new cars include an automatic oil life monitor, which will alert drivers when an oil change is needed. Consult your owner’s manual to see whether or not your particular make and model offers this feature, and if it does – follow it. Automotive manufacturers set these monitors, which are specifically tailored for the vehicle in which they are installed. Following this manufacturer recommendation is the best way to ensure optimal vehicle health, and keep your car covered under a new vehicle warranty. Change Oil at Least Once a Year: Many new vehicles can go up to 10,000 miles between oil changes, which can make some drivers nervous. 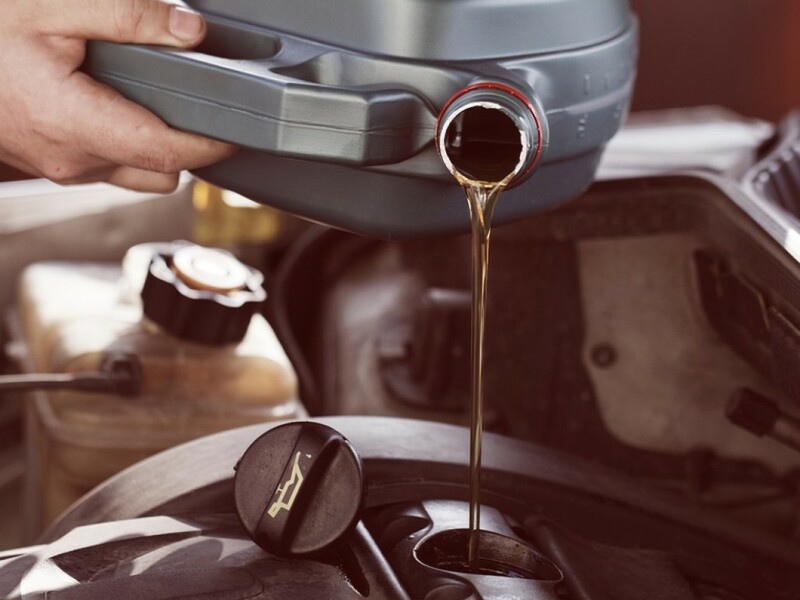 General Motors recommends following your vehicle’s specific oil change requirements, and the oil life monitors that all of their new models include. If the oil life monitor does not indicate the need for an oil change at least once a year, you should take it upon yourself to have the oil changed. Check Oil Levels Once a Month: Your car may not need an oil change until 10,000 miles have been driven, but it is still important to be aware of oil levels and the quality of your vehicle’s oil. Make it a habit to check the health of your oil once a month, and address any concerns with your local mechanic if anything seems off. This is the best way to prevent major issues from surfacing down the road. Service Your Car with a Certified Technician: If you drive a Chevrolet, your best bet for receiving top quality automotive care, is to bring it to a Certified Chevrolet Service Center. By servicing your vehicle with a technician that is certified to work on your vehicle’s particular brand, you are more likely to receive the best care for your car, and increase longevity. Here at DePaula Chevrolet, we are proud to have a certified Chevrolet service center, staffed with expert technicians and a state-of-the-art facility. Whether your car needs a simple oil change, tire rotation, or more intensive work – the skilled team at DePaula can help. Come down today and see how DePaula can help you keep your vehicle in tip top shape for years to come.